Chaitanya Koravi received his Master’s in 2017 from the Department of Computer Science, New Mexico Tech. During his graduate years, he worked as a Research Assistant at the university, mainly focusing on improving the Android lockscreen securities. Before earning his Master’s, he worked as a Programmer at Cognizant Technology Solutions, India. 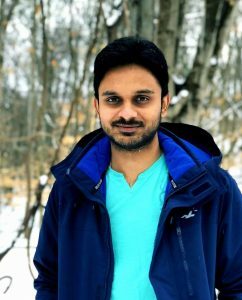 Chaitanya joined the UVA Center for Diabetes Technology as an Android/Java Developer in January, 2018. Chaitanya is a foodie, a Potterhead! And outside the office, he enjoys playing/listening to music, watching movies and exploring places.